Kotobukiya's lineup of Fine Art Statues based on characters appearing in Marvel Comics continues with the Wolverine Brown Costume Danger Room Sessions Fine Art Statue. Includes interchangeable head sculpt allowing for display with or without the mask. Wolverine crouches in a combat pose while he stands atop the head of a defeated sentinel, claws out and ready to take on his next foe. Swapping out his usual blue and yellow, Logan wears his classic brown and yellow costume. Featuring a highly detailed sculpt by Erick Sosa, Wolverine's rippling physique has never looked better. Logan fans will really appreciate the display options with this version that include two portraits: the masked head is close-mouthed and focused while the bare head unleashes the ferocity with flowing hair and a wild scream! Sculpted by Danger Room veteran Erick Sosa, Wolverine Brown Costume stands 20 cm (1/6 scale) as he crouches. 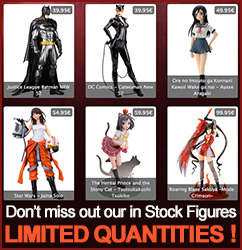 Display alone or alongside other Marvel character Fine Art Statues from Kotobukiya!